Student and writer based in Los Angeles, California. 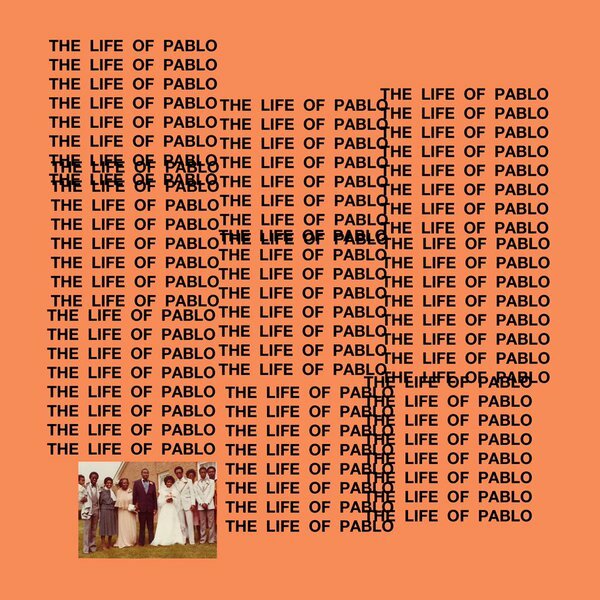 Is Kanye West's 'The Life of Pablo' Gospel Music? "Now if I f---- this model, and she just bleach her a---h---, and I get bleach on my t-shirt, I'mma feel like an a---h---." It's safe to say upon hearing this particular lyric from the song "Father Stretch My Hands Part 1" from Kanye West's newest album The Life of Pablo, most people aren't going to say, "Ah yes! The Gospel music I've been waiting for!" Granted, I would assume the majority of West's listeners aren't Christian, but even to my college contemporaries the lyric sounds crass and cringe-worthy. While this may seem like one of the more memorable lines, I find the natural progression of the album presents an incredibly conflicted Christian wrapped up in his own pride, persona, and popular culture lifestyle aching to find his way to God. I'll admit, when I first heard he had genre-ed his album as Gospel, I thought he must be kidding. I've had a rocky past with Kanye. I was unsure what to make of his publicized antics, his odd fashion sense, and his "prolific" Yeezus. I won't mince words; I thought he was a narcissistic heretic whose self-obsession peaked as he declared "I am a God" on his last album. When I heard "This is a God dream" from The Life of Pablo's opening track "Ultralight Beam," I thought, oh boy, here we go again. But then I hear the sampled "Father Stretch My Hands" by Pastor T.L. Barrett proclaiming "You're the only power," and I think, maybe he's actually praising God? But then in the very next song using the same Barrett sample, I hear, "I got broads in Atlanta, twisting dope, lean, and the Fanta," from another sample of "Panda" by Desiigner. So now he's asking God to stretch his hands in religious fervor but also supporting drug-induced promiscuity. Right. Makes total sense. Except for the fact that it doesn't, and in this disparity we are shown the true essence of Kanye West. The title The Life of Pablo itself already tells of a trinity of personality inspired by a lyric from "No More Parties in L.A.;" as Pablo Picasso he feels unparalleled genius and creativity in his artistic ventures; as Pablo Escobar he feels unparalleled guilt and sin in his public persona; as Paul the Apostle (Pablo in Spanish) he feels unparalleled loyalty and reverence in his praise to God. It doesn't hurt to notice that he chose a trinity to describe himself, much like the Holy Trinity. I would argue we can nickname his three-entity persona the catholic "Human Trinity," as it embodies the conflict between pride, shame, and reverence we as religious followers experience. Each track deserves a ten-page critical analysis on its conflict between composition, lyricism, sampling and historical significance, features, and relevance to current events. But for the sake of time, let's look at the album as three parts Pablo to a whole West. Opening with "Ultralight Beam," "Father Stretch My Hands Pt. 1," and "Pt. 2," West explains his self-comparison to Paul the Apostle, from being struck blind by a heavenly light, to going forth and proclaiming the Word of God to the world, all the while feeling forever guilty for his past life of sin. His interspersed profanities and images of gluttony reveal that he knows he hasn't always been the most obedient Child of God. Still, He doesn't give up on West, so West won't give up on Him. The next two-thirds of the album detail his past "Highlights," but also his insatiable desire for recognition that shines through in his satirical track "I Love Kanye." "Lowlights" seems to be an afterthought without real congruency to this group of songs, proving West is mostly focused on his success as an artistic genius and businessman. And yet, there is a pervading aura of failure and fear that he will "lose half of what [he] own[s]." West even admits he is always "lost in...[his] doubt," and he needs the help of his family to guide him back to his real purpose. In this juxtaposition between fame's glory and fame's torture, West appears proud of his hard work, shame-faced at his gluttony, faithful to his family, but fearful of his weakness. Throw this battle of simultaneous narcissism and shame into the mix of his religious shortcomings, and you get Kanye West: the artist-turned-celebrity, but most importantly the Christian that was, but wasn't, but tried, and failed, but tried and tried and will always try, but failed and failed and will always fail; and therefore he is. I'm not going to say he's a good Christian, but I think there is some truth to West's tweet, "This album is actually a Gospel album." We are given an introspective look at his thoughts on his three-sided life as Pablo and his persona as Kanye. In the flash of an enlightening "Ultralight Beam" we are fleetingly shown the heart and soul of Kanye West until the light begins to "Fade" and we carry on with our lives. Can we really ask for more?